Six Inch Funnel Cake Mold Ring. Make a perfect Funnel Cake every time with this 6" Funnel Cake Mold Ring and Base.. It's so easy anyone can do it. Simply pour the batter with a circular or criss cross motion in the inside of the ring...wait a short time...remove the ring...flip and slide the funnel cake away from the base...repeat process. When you are ready to serve, sprinkle with some powdered sugar or serve with your favorite funnel cake topping and enjoy!!! Eight Inch Funnel Cake Mold Ring. Make a perfect Funnel Cake every time with this 8" Funnel Cake Mold Ring and Base.. It's so easy anyone can do it. Simply pour the batter with a circular or criss cross motion in the inside of the ring...wait a short time...remove the ring...flip and slide the funnel cake away from the base...repeat process. When you are ready to serve, sprinkle with some powdered sugar or serve with your favorite funnel cake topping and enjoy!!! Mrs. Wilson Funnel Cake...Known as America's Number One Funnel Cake Mix. Packed 6/5# Bags per case. Great tasting and great consistency. Berk Funnel Cake Mix. Berk's Funnel Cake Batter makes the perfect funnel cake. Packed 6/5 lb per case. Easiest way to make the perfect funnel cake is with this Paragon Funnel Cake Pitcher. The funnel cake pitcher is a one quart container. Simply fill the pitcher with your favorite funnel cake batter and pour. This pitcher is designed without a hole to allow you to drill the hole of your choosing. Made of hard plastic for durability. 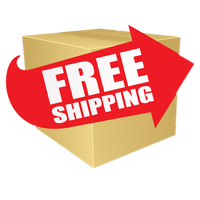 Nickel plated heavy-duty square skimmer for funnel cakes or any other product being cooked inside a fryer. A mesh skimmer is a must have accessory when making funnel cakes. Complete your funnel cake presentation with these colorful and attractive Funnel Cake Plates. 9" Funnel Cake Plates packed 1000 plates per case. 32 oz Funnel Cake Souvenir Cups. These bright and colorful cups will be a real crowd pleaser. These plastic funnel cake cups will be a great compliment to your great tasting funnel cakes. And a wonderful item for refills at what ever price you set. These old fashioned designed 32 oz funnel cake designed cups will to be certain stand out at your next event. When you have those orders to go, use these large attractive Funnel Cake Bags. Packed 1000 waxed bags per box. Keeps the oil in the bag, and not on everyone's hands. 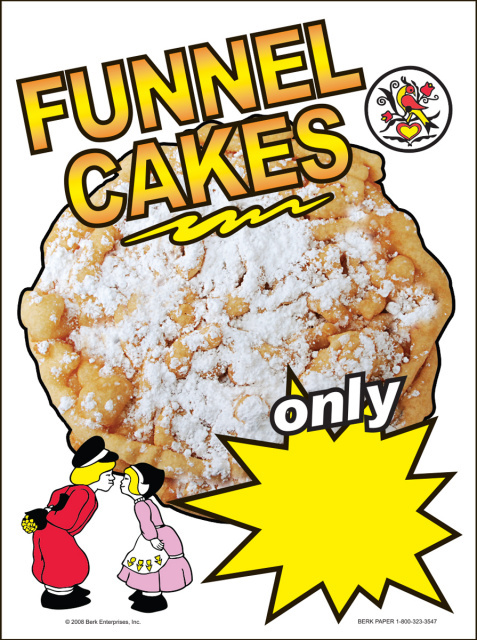 New attractive and eye-catching "Funnel Cake" window cling decal will help drum up sales and help promote your funnel cake business. This static cling is 12" by 16"
New Paragon's ParaFryer Funnel Cake Maker. 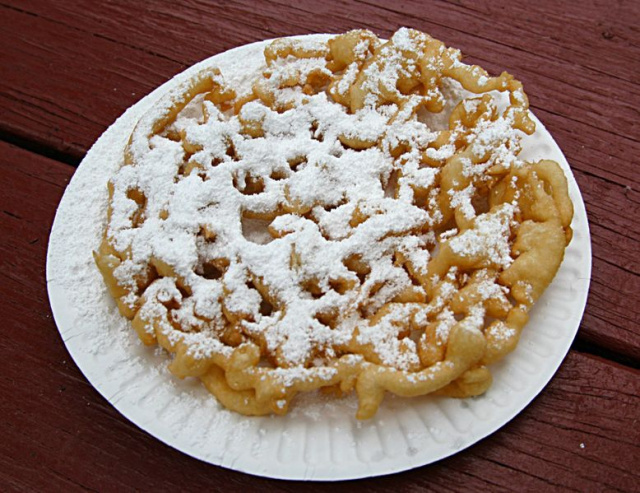 Funnel Cakes is one the most popular concession items sold at any Midway Show or Festival Function. The ParaFryer is a Multi-Purpose Funnel Cake Fryer that can work for all kinds of venues. Our compact and portable unit is easy to use and ideal for concession stands or carnivals. The ParaFryer can easily fry traditional funnel cakes, donuts and other pastries, but can also be used for other fried foods. And the Para Fryer features a Digital Thermostat Display. The fryer lid can mount to the side; functioning as a drain rack. Click on the above link for further details.